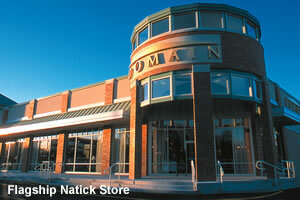 Domain Home has 27 retail stores in 7 states from Boston to Washington, DC. We have won numerous industry and customer awards, including Outstanding National Furniture Store Chain. Welcome to Domain Home, a company committed to making your home a special place with exclusive furniture designs and unique products from all over the world. Our stores showcase an ever evolving selection of living, dining, bedroom and occasional furnishings and lifestyle collections all with designer style. Domain also offers a selection of premium brand Aga cookers, cookware, and refrigeration from Britain through its Aga Shops and demonstration kitchens in 10 of our 27 locations.